Built by an investor from North Louisiana, Mr. A.C.Glassell, in the boom days of 1928, this modern hotel gave downtown its contemporary look with its Italian Renaissance Revival style. 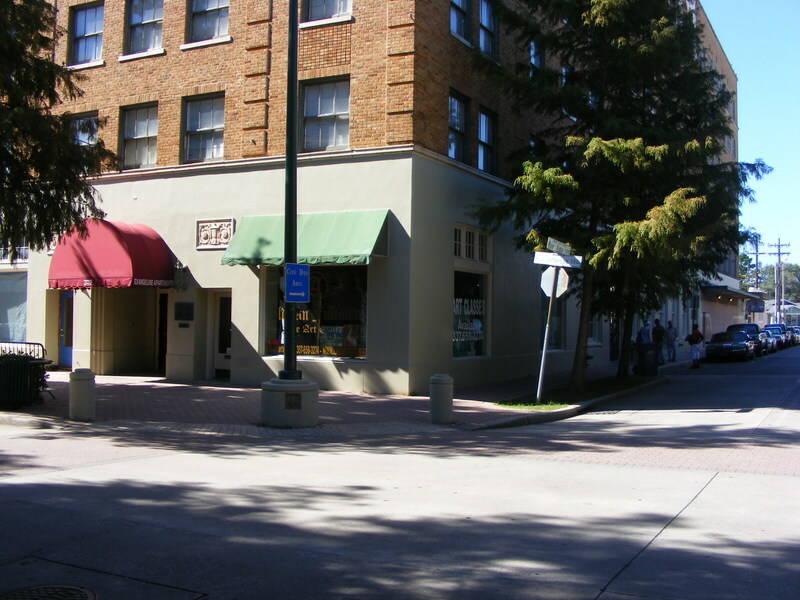 The site’s location in downtown Lafayette made it an ideal spot for a hotel, with close proximity to the train station and Dwyer’s Restaurant, a local favorite for breakfast and plate lunches. 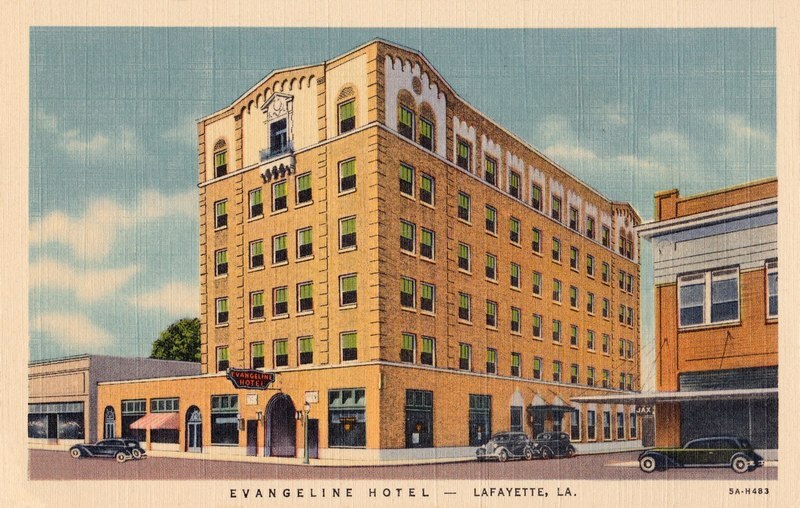 Elvis Presley and Ronald Reagan stayed at Evangeline Hotel. In the late 60’s, the hotel closed and the building housed offices for the Louisiana State Government, with a new one-story addition in the same style in the back, which now houses the “Cité des Arts,” an art and theater space. Today, this building is home to a senior apartment complex.